A new project in mind? Just want to say hello? Let’s talk! Natacha Hadjez-Darty, 32, is one of the major international fashion, beauty and eco-minded e-influencers. Originally from Paris, she has been residing in London since 2014 after having lived in New York and Sao Paulo. Her upscale fashion and lifestyle blog www.NatachaSteven.com was launched in 2012, echoes beauty and glamour with unrivalled French elegance. The same year, Natacha was elected “New Digital Talent of the Year” by French magazine L’Officiel and started covering, as digital editor, Fashion Weeks in Paris, London, Milan and Sao Paulo for celebrity stylist Rachel Zoe’s. In 2013, she was appointed Brand Ambassador for Clarins USA as well as for the famous Italian shoe designer Gianvito Rossi whom she introduced for the WWD Footwear News Award in New York. She has worked and collaborated with some of the most high end fashion brands including but not limited to Tiffany & Co, Fendi, Burberry, Jimmy Choo, L’Oréal Paris, and Dior Beauté. Natacha Steven has been regularly featured in numerous fashion publications, Vogue US, Vanity Fair, Elle USA, Marie Claire France, Spanish Vogue and W Magazine. Concomitantly Natacha has been a Director of the Board of Golda Darty Partners, a Belgian family office, headquartered in Brussel, Belgium, focusing on private equity investments and established by her grandfather Bernard Darty (www.bernard-darty.com), the founder and director of Darty Group (www.darty.com), the eponymous European home appliances group. At Golda Darty Partners, Natacha focused on selecting and managing eco-friendly, healthy and sustainable private investments. 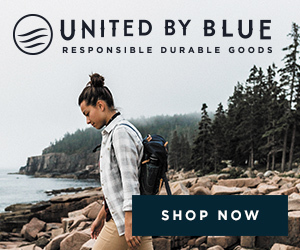 In 2017 under her leadership, Golda Darty Partners became a core investor investor in United by Blue, a US outdoor brand which sold its products online and in over 650 retailers across the United States and which focused on ocean conservation. For every product sold, United by Blue removes 1 pound of trash from the earth’s oceans. Prior to launching her blog in 2012 Natacha worked for some major cosmetics companies including Clarins and Skyn Iceland. Natacha graduated from University of Paris Dauphine with a Master in Marketing and from the ESCP business school with a Ms. in Management. – APRIL 2012 I was elected new digital talent by the French magazine L’Officiel de la Mode. This award came with a 40-page spread of my writing in the print version of the magazine. – JANUARY 2013 Clarins USA Brand Ambassador. Within this collaboration, I participated in advertising campaign in the form of beauty tutorial videos. – FEBRUARY 2013, appointed official correspondent (contributing editor) of the American stylist, Rachel Zoe, for whom I have been covering the Fashion Weeks (London, Milan, Paris, Sao Paulo) as well as other events with strong influence on fashion throughout the year such as Art Basel Miami. – MAY 2013 after the release of the Great Gatsby film with Leonardo Dicaprio, I shoot a promotional campaign for Tiffany &Co Jazz Age Glamour collection (jewelry for the film). – DECEMBER 2013 Spokeswoman and Ambassador for the Italian shoe designer Gianvito Rossi. I presented him with the “shoe designer of the year” award, by American newspaper WWD, in front of numerous television channels and specialized fashion journalists. For the precednet years, this award was presented by fashion icons such as Rachel Zoe and Jessica Simpson. Algonside with my borther and cousins we’ve created a private equity fund : Golda Darty Partners. We gather our knowledge and aerea of expertise to support and contribute the developement of various companies from a wide industry range. My main focus is on sustainable fashion and beauty as well as tech and luxury brands. – I am frequently cited in a number of fashion publications such as Elle USA, Vogue US, Marie Claire France, Spanish Vogue and W Magazine (http://www.natachasteven.com/presse). Please note: I do not trade product for post.